Have you seen this bottle chilling at your local beauty supply store? I did, a while ago roaming around C&J Beauty in Inglewood. Immediately, my product junkie senses went into overdrive. A PRO version of the love of my gel life? Could it really get any better than Argan Oil Eco Styler Gel? Tagged at $9.99 for a 16.9oz pump bottle, I surely hoped so! 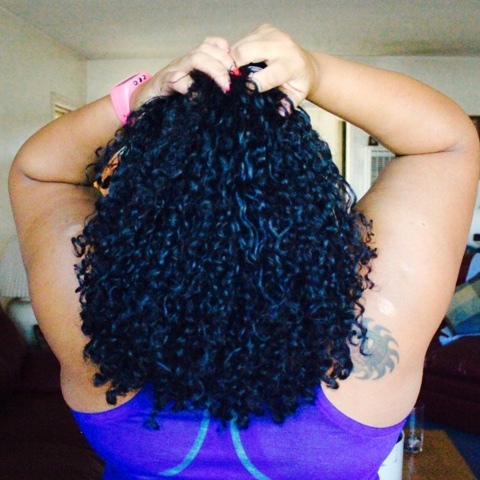 Could this swanky, upgraded version of my beloved hold it down for my amazing and equally disrespectful curls? Glycrrhiza Glabra: Licorice Root Extract. Believed to benefit the hair by stimulating the scalp and strengthening follicles - resulting in stronger that grows and has less shedding. Hypnea Musciformis Extract and Gellidiela Acerosa Extract: Extracts of red algaes rich in trace minerals and amino acids that nourish, strengthen, and add shine to the hair. Hydrolyzed Wheat Protein: Emollient moisturizing protein, also adds some strength to hair due to being hydrolyzed (made smaller) to fill in the weak points of the hair. Glycerin: A humectant (moisturizer) that adds slip. Amino-2-Methyl-1 Propanol: Honestly guys, I don't know what this is. Interestingly, on my original Eco Styler Argan Oil Gel review, this wasn't on the ingredient list. I'm going to keep researching, and find out exactly what this ingredient is. Sodium Hydroxymethylglycinate: Preservative, can cause irritation to those with sensitive skin/scalp. Note: I have not noticed any issues with my scalp psoriasis while using Eco Styler Argan Oil Gel. 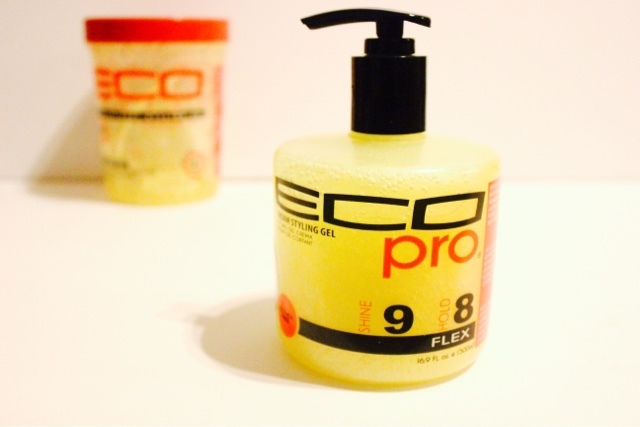 Have you tried the Eco Pro Cream Styling gel? Share your experience, or ask any questions in the comments below! Don't forget to scroll wayyyyy down past the "You Might Also Like" section! Which do you think is stronger in terms of holding up to exercise and humidity? I was thinking this new one would be better because I've had good results using products with PVP high on the list and glycerin lower down (or not there at all), but I don't want to waste my time if you think it's the same or the other one is better. I know that most people are all about the videos, but I love your writing and your blogs! I have often laughed out loud while reading some of them! I also prefer the written word -- so please continue doing your wonderful blogging! I'm really protein sensitive and actually didn't expect to get much from this post, but I'm happy to learn that there is a protein free option in the Eco line. It's more expensive than the normal styler but I find that the gels that don't use protein are more expensive for some reason :/ Thanks for sharing ! 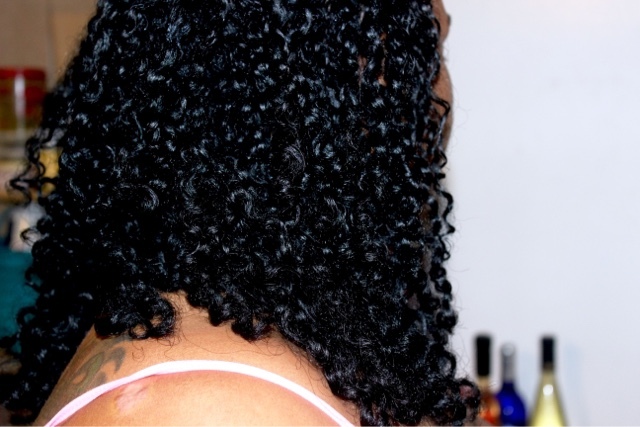 So did you see a difference in curl definition, especially by the crown area between the two Eco stylers? Hair gel? What is it and is it good for your hair? Below I will discuss the several caveats to using gel as a styling product and then discuss some long-term effects of overuse.